Our product range includes a wide range of danfoss oil burner photo units/ flame detector, danfoss oil burner nozzles, danfoss burner ignition units/ ignition transformer, danfoss oil burner controller/ control box and danfoss oil burner pump. Combustion & Control Systems, Mumbai offering Danfoss Oil Burner Photocells/ Photo units/ Photo resistors/ Uv cells combination with Danfoss Electronic automatic oil burner controls OBC 80 and BHO 70 Series. 1. 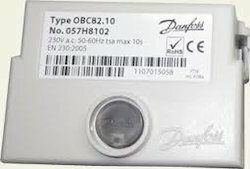 Danfoss black colour Ld series Photocells for yellow flame detectors. 2. Danfoss Red Colour high sensitivity photocells are also for yellow flame detectors. 3. 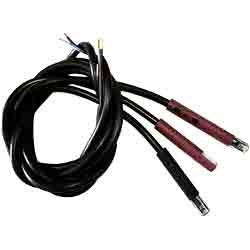 Danfoss UV sensors are used for flame detection in oil burners with blue flame. Combustion & Control Systems, Mumbai offering Danfoss Burner Components. 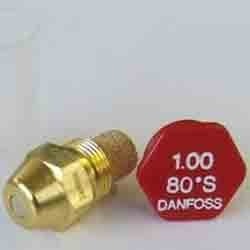 We import and supply Danfoss Burner Oil Nozzles with different capacities. Danfoss oil burner nozzles are 100% tested by company. 1. Danfoss hollow spray nozzles. 2. Danfoss solid spray nozzles. 3. Danfoss semi solid spray nozzles. 4. Danfoss Special hollow spray nozzles. We keep and supply 0.3 to 35 GPH nozzles with diffrent spray angles like 30 degree, 45 degree, 60 degree and 80 degrees. Combustion & Control Systems, Mumbai Offering Danfoss Ignition Unit EBI4 series is a new generation of environmentally friendly ignition units for small and medium oil and gas burners. Danfoss Ignition Transformers EBI4 series is setting new standards within modern ignition units for oil and gas burners. 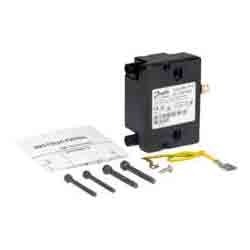 Danfoss ignition units are available in single and two poles. Danfoss ignition units are available in intermittent and continues duty cycle. Combustion & Control Systems, Mumbai offering Danfoss Oil Burner Controls. Combustion & Control systems, Mumbai one of the best solutions for Combustion controls. We import and supply Danfoss Oil Burner Nozzles/ Danfoss Oil burner pumps, Danfoss Ignition Transformer, Danfoss Photocell, Danfoss Flame sensor, Danfoss burner controller, Danfoss Sequence controller, Danfoss Burner Controls Etc..
10. 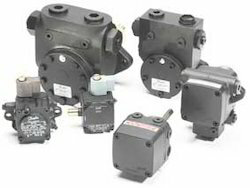 Danfoss Burner oil Pump KSN Series Etc. Looking for Danfoss Burner Components ?